Friday night after all our children were tucked safely into bed, my closest friends began texting each other. The question we all asked was, "How do I help my children understand something that I myself can not even understand?" None of us wanted to have to tell our children about the unspeakable, horrific tragedy that unfolded two towns away from us. All of us feeling sick, having spent the day shedding tears for the innocent lives lost and the nightmare their families were now having to endure. Yet, we all understood that we had no choice. Difficult conversations needed to be had, innocence was going to be taken from our children and there was nothing we could do about it. Fortunately, we had an expert among us. Dr. Jessica Mass Levitt, who I am blessed to have in my life for 25 years, began sending us the advice we were all looking for. Jessica knows other parents need this guidance as well. Please see below for what began as texts to friends and transformed into essential information for all parents to read. Thank you Jessica. It is difficult to think about talking to our children while we are still trying to come to terms with our own shock, sadness, fear, and anger about the shootings in Newtown. However, it's important to talk with kids, even those as young as pre-­‐school or kindergarten age, about what happened and make sure that we are available to help them cope and feel safe. Why is it important to say something? It’s natural to want to protect young children from hearing about what happened, and you may think that if you don’t bring it up, they won’t hear about it. But, there is no way to shield them completely from hearing about it. By not telling them, you may be inadvertently sending a message that there is something to be scared about and they should not approach you. By telling them yourself, you will make them feel safer, let them know that adults are in control, and make them feel comfortable talking to you about it. You also give them a good foundation for dealing with whatever information they hear later. If they hear it from another source before you talk with them, it is important to find out what they heard and correct any misinformation. By talking to your kids, you can provide reassurance, be a role model for tolerating the emotions and uncertainty following this tragedy, and make sure that you open the lines of communication for the future. What should you say? It’s hard to know what to say to your kids about what happened. The goal is to give them some idea of what has happened or find out what they know about it already. You do not want to scare them or impress upon them the significance of the event. You want to provide a sense of safety and security. You do not want to make your children feel like they need to take care of you. So, stay calm and matter of fact when you talk to them. Keep the conversation casual. Some talking points are listed below to try to help you frame the conversation. Remember, most kids will be able to handle this news, and you can make it easier by being involved and supporting them during this difficult time. Give the facts: Something bad happened to some kids in a school near us. And kids got hurt. stores, places of worship, etc.). You might hear adults or other kids saying stuff about it. But, even if you hear people talking about it, it's over now. They caught the bad guy and he can't hurt anyone anymore. Newtown school, you should talk with your kids about who was there, if they are safe, and what happened. keep you and your school safe so that nothing like this can ever happen again. Many kids in Newtown were safe because of heroic teachers and police. necessary. Keep it age appropriate and in line with what your kids can understand. they hear. Keep the lines of communication open. clingy, emotional, or difficult in the short term. Be a role model: Show kids how to be brave and stay strong. It's time to rally! 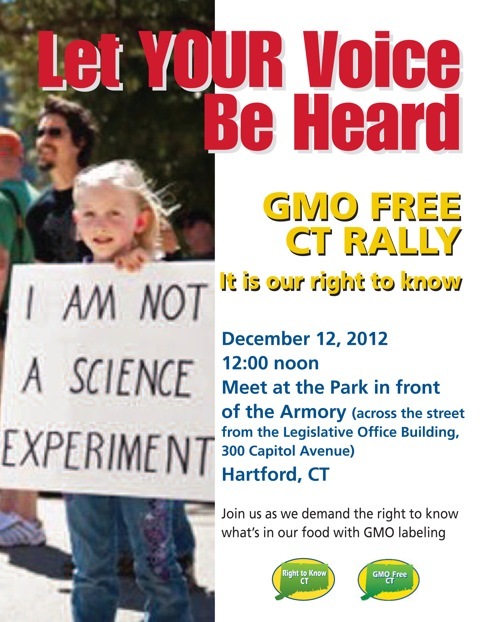 Join GMO Free CT to let your voice be heard, Wednesday, December 12th at noon in Hartford. 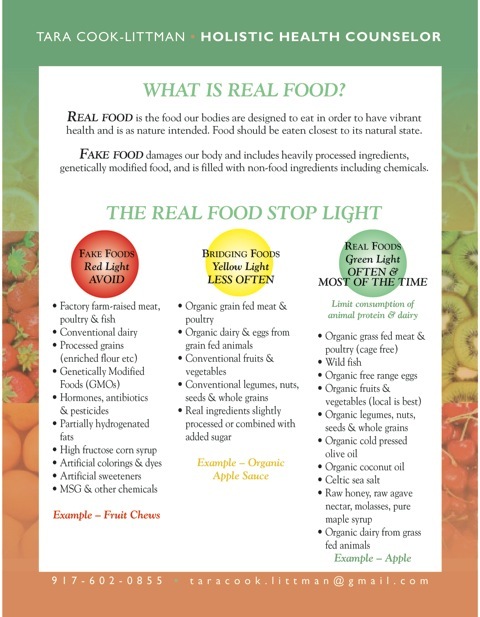 We have a right to know what is in our food. It is as simple as that. No corporation should be able to hide the truth from us in order to protect their profits. The opposition to GMO labeling does not want us to know GMOs are in our food because they realize knowledge is power. They do not want us to have the power to choose what we put in our own bodies because if we knew that GMOs were in our food, we would not choose to buy it. Don't you want to be able to make that choice for yourself?